Why would a divorce become contested? Unfortunately, parties are not always able to work out their differences prior to proceeding with a divorce. In these cases it becomes necessary to look to the Courts to adjudicate on the issues between them. 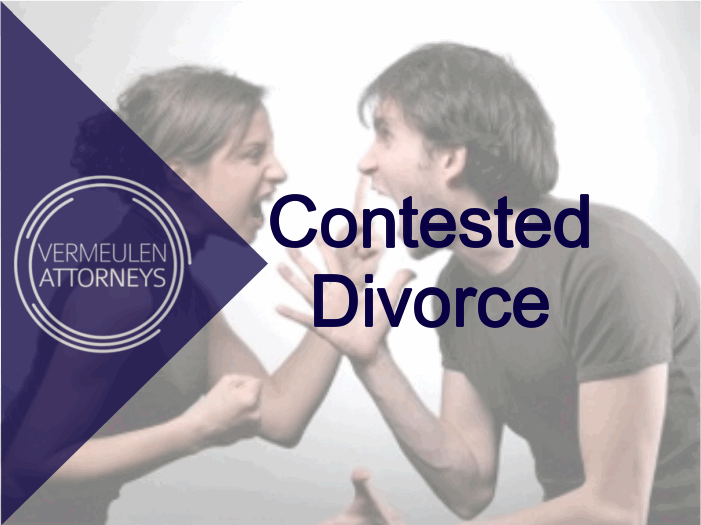 What does a contested divorce entail? Because there are so many facets to deal with in a contested divorce, it is often a long and traumatic process. For this reason it is imperative that prospective divorcees make sure that they are advised correctly through this technical procees.